Don't Forget Mother and Home. 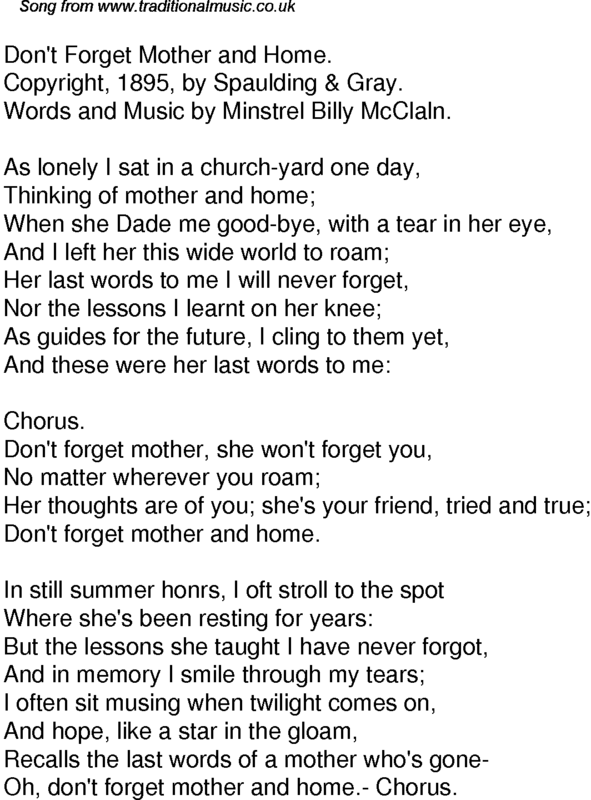 Words and Music by Minstrel Billy McClaln. Oh, don't forget mother and home.- Chorus.